WARNING: Many governments, including the US , UK , Australia  and Chinese , strongly dissuade any travels to the island of Mindanao because of the threat of terrorist attacks, bombings, shootings and kidnappings of foreigners. Davao has been targeted by bomb blasts in 2013, 2015, 2016, 2017. Deadly battles are being fought between terrorists and the Philippine army on the outskirts of the city. Most insurers will not pay out if you need to make a claim while being in Davao. Contact your embassy and insurer before traveling and take extreme care when leaving the city. Davao's topography dazzles with a variety of picturesque landscapes. Fruit plantations and orchid farms, mantle volcano-fed hills and valleys. Virgin forests nurture rare wildlife. Coral islands lie on mirror flat water. And the country's highest peak, Mt. Apo, magnificently lords over the hinterland. Just as enchanting is its brilliant tapestry of harmony, woven from the diverse cultural threads of its people. In Davao, the contemporary fuses with the traditional as migrant settlers from all over the country peacefully co-exist with a sizeable expatriate community and numerous ethnic tribes who continue to live as they did centuries ago. Davao is home to the majestic Philippine Eagle, the country's national bird and considered the largest eagle in the world. It also boasts of the most priced Philippine orchid species like the Vanda sanderiana and some of the most exotic fruits like Durian and Mangosteen. Davao is an anchor tourist destination, a natural haven for both sedate and daring pursuits. 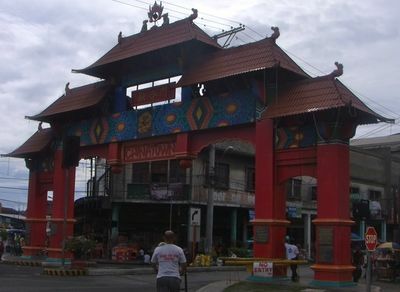 It is the jump-off point to satellite destinations on the island of Mindanao. Davao enjoys a tropical climate, along with the rest of the Phillipines with only a mere 2°C (3°F) difference between January and May, the coolest and hottest month respectively. Humidity remains very high year-round (81% on average). The city also receives plenty of rainfall all year-round and there is no true dry season. Cebuano is the native language used in Davao. English is also widely used and understood by the people. Most domestic airlines fly multiple times per day to Davao. Topping them all is Manila with 17 daily flights to Davao departing all-day according to MNLAirport.ph. There are also direct flights available on some Philippine cities. Davao is served by the Davao International Airport (more properly named as the Francisco Bangoy International Airport) (IATA Airport Code: DVO), which receives both local and foreign traffic to Davao. With the new terminal completed in 2003, DIA is said to be much better than its counterpart NAIA in Manila. Silk Air, the regional airline of Singapore Airlines, and Cebu Pacific airlines are currently the only international connection directly servicing Davao from Singapore. If you have Davao as your main destination in the Philippines, you might want to consider coming in through Singapore as this might be the most hassle-free way to enter. Outside of taxis, you can catch a jeepney to town center by walking to the highway (5-10min walk). Airport has a information counter (but not always staffed), have pre-paid sim card shop (access thru the departure area). Terminal fee for international flights, at least with AirAsia, is 700P. Air Asia also fly to/from Manila and Cebu. Air Asia 4 times a week to/from Kuala Lumpur in Malaysia. 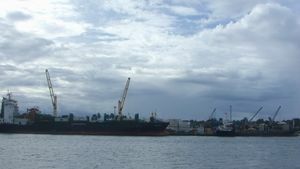 Davao is also served by a bustling sea port with significant cargo traffic. the only Passenger ferries from Davao city go to Samal and Talikud islands. if you would like to take a passenger ferry to Manila, Iloilo, Bacolod, Cebu city, Bohol island you need to go the port in Cagayan de oro. There are buses from different cities, most of which are located within Mindanao, which usually stops at Davao City Overland Transport Terminal (DCOTT), and is located at Maya, Ecoland, Davao City. For getting into downtown or uptown, there are multiple jeepneys passing by. The simplest way to get around is by hopping on a taxi. A typical trip can cost about 70-95 pesos or approximately 2 U.S. dollars. Unlike Manila, drivers in Davao do not normally bargain if they notice that you are a tourist, hence the cost of the trip is the same in price as a regular. Davao Taxi Drivers are regarded as the most honest taxi drivers in the Philippines. Taxi Drivers in davao city do not charge tourists extra fare unlike their counter parts in Cebu and Manila. If you know the name of the building, establishment, area or street you wish you reach, this is still the fastest way to get to your destination. A taxi is now the fastest and somehow the safest ride commuters could take if they are in a hurry or in any other cases, going home late at night in massive pouring rain. You can also call or send an SMS to the cab company directly to have a cab driver pick you up. Taxis start their fare at Php 40.00 and will add Php 3.50 per few meters. Please do say "thank you" or "salamat" once you have arrived to your destination. Davao Taxis issue fare receipts that list the name of the taxi company, the plate number, and the taxi number which could come in handy if one leaves valuable items or documents inside a cab. Just tell your taxi driver if you want to get a receipt. New to Davao is the acceptance of ATM cards in taxis. The service, however, is only available in "black" colored taxis. Alternatively, if you opt for more adventure, then do as the locals and catch a colorful jeepney. Simply ask around for which route to take to avoid getting lost. They are usually available 24 hours and cover most of the nooks and crannies of the city. This is the cheapest option for getting around. The usual cost for a jeepney ride is 8.00 pesos for every 3 kilometer ride, and about a 1 peso increase per kilometer when going beyond the 3 kilometers (for regular passengers). To pay, pass your fare to the person next to you, all the way to the driver or the conductor, by saying "bayad po". Paying the exact amount is highly recommended. To stop at a certain destination, say "lugar lang", "para", or knock your coins hard on the steel handle. Another alternative ride aside from the jeepneys and taxis, is to rent a car. There are many cars for rent. If you don't know the routes you can hire drivers by asking the attendant of the rental company. Local companies tend to be cheaper than the national ones. Buses are also available but these tend to ply exclusively along the north-south route and going out and in the city area. A new mode of transportation around Davao Gulf is through a water taxi. Water Taxis service the daily commuters and visitors of Davao City, Samal Island, and other Neighbouring Coastal Municipalities around Davao Gulf. It will get you to the island, waterfront restaurant, or beach resort you wanted with comfort and ease. The pioneer water taxi service in the Philippines is found in Davao City and has the swift, safe and secure water transport, the best and most professional skippers and has a customer friendly and positive attitude, all incorporated to make your transfer easy and pleasurable. Visit their website at www.davaowatertaxi.com  for more information. 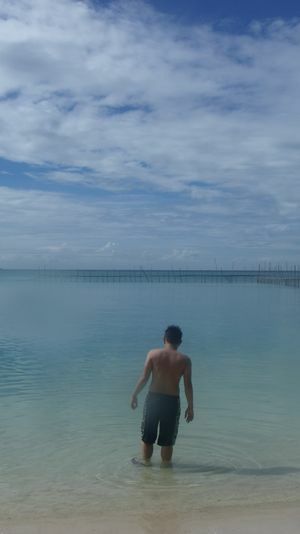 Samal Island is sometimes visited and has some nice beaches but cannot by no means compare to Palawan or Boracay. Entertainment on the island is minimal so makes for a very relaxing stay. Do not get stuck on the island. Boat times are undocumented (you maybe have to wait several hours) and the last boat back is late afternoon. It's best to organize transportation through your hotel. Davao City has many malls where almost all of them have cinemas, and all of them have supermarkets. Due to security concerns, it is routine for security guards to lightly frisk people as they enter shopping malls in Davao, and indeed in most of the Philippines. The guards endeavour to be sensitive and invariably the guard is either female or there are separate lines for male and female entrants. 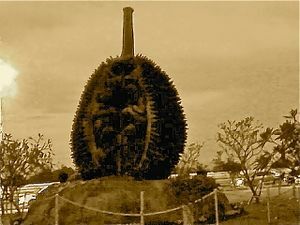 Davao is renowned for its durian and pomelo. Eating durian is admittedly an acquired taste but those who do end up liking it will swear that the bad smell is worth it. Pomelo on the other hand is a citrus fruit that most closely resembles a grapefruit, it is quite common in South East Asia. Beware of bringing durian inside airplanes as well as hotels and other establishments. They may have strict regulations on allowing durian inside and some may not allow durian to be brought at all. 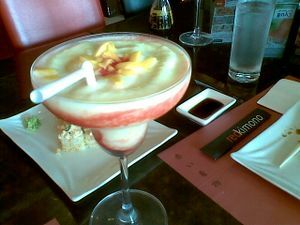 Sea Urchin Restaurant, Mamay Road, a few meters from Damosa Gateway. A full range of Chinese cuisine. Cold cuts and soup are excellent. Try also their steamed lapu-lapu and garlic chicken. The best restaurant in the city. Call them at telephone numbers (082) 235-8603, 301-9289. Ahfat, Victoria Plaza area. The ultimate gastronomic experience. Try the steamed shrimp, spicy spare ribs and crab fuyo. Yahong There's one in The Venue and another along Torres Street. Try their talaba and diablo chicken wings . Their crispy pata is also a must! Na Trang (Jekoy's Grill), Jacinto Extension, beside Central Bank. Authentic Vietnamese cuisine. Try their tofu and mushrooms, Vietnamese pancake, wet lumpia and fried spring rolls. Coffee is great here also. Jack's Ridge, Just across the Santo Nino Shrine. Delicious Filipino cuisine and a breathtaking view of the city. Dencia's, Ilustre Street. Classic Davao-Chinese cuisine. Best orders are tokwa't baboy, congee, fresh lumpia and pancit canton. Gardena Fresca, Within Coca-Cola Village in Matina. Their bestseller is adobong tahong. Talaba Joe's, Rizal Street. Come to this place for the freshest oysters in Davao. Claude's, Rizal Street. Authentic French cuisine. Boodels, Within Barrio Obrero. Very cheap grilled tuna belly. Tastes great too. Grand Emerald Seafood Garden, within Victoria Plaza Complex. Good food, Reasonable Price, Nicely Lit Interiors. Mandarin Tea Garden, With branches at G-Mall, SM Davao, Nccc Mall, Rizal St., Guerrero St., Duterte St., DCLA Complex., and Bajada St. The First and original Dimsum house in davao. Must Try! Dimsum Diner. Within G-Mall and somewhere near Holy Cross College. Best orders are salted fish fried rice, salt and pepper riblets and siomai. Dox's of Davao* 13 Rosal Street, Catalunan Pequeño enterance to Yuchico Orchid Gardens. Habachi Iron cookery with a Southern cajun cooking flare. Try Dox's Dog "on a stick"
Davao has a very early alcohol curfew. For that reason along with the conservativeness and extremely low incomes of the local population, nightlife in Davao is severely lacking in excitement when compared to that of Cebu or Manila. There are very few options when it comes to partying. All clubs are closed during the week and weekends can sometimes be quiet too. Surprisingly, for a population of over 1 million there are very few places to drink and the government wants to keep it that way. That being said, nightlife still exists but as a more chilled out setting, for example, in Matina Town Square (MTS) where you may sit down with friends/family, drink and enjoy live music during weekends. There is the local Tanduay Rum, billed around town as "the Number One Rhum". There are large Seventh Day Adventist populations on Samal and Comotes Island, and in Mindanao generally. Adventists do not drink and any stores they own will typically not sell alcohol. There is no shortage of accommodations in Davao, ranging from the four-star accommodations of the Marco Polo Davao at Claveria, the Royal Mandaya Hotel at Ponciano, the Grand Regal Hotel and Casino Filipino and the Waterfront Insular Hotel on Lanang, the Apo View Hotel, where Casino Filipino 2 is located, The Pinnacle Hotel and Suites at Sta. Ana Avenue in the Chinatown district, to lodges and inns, all around the city. Serviced residences like the Crown Regency are also rising in popularity, or one can find townhouses or apartments for rent, all for negotiable rates that are very good for those coming into Davao with dollars. Cagayan de Oro, from Davao to Cagayan, bus 7-10h duration depending on weather/traffic/road construction, multiples stop including lunch+diner break, 540p Aircon/20% less w/o. This page was last edited on 5 March 2019, at 09:10.